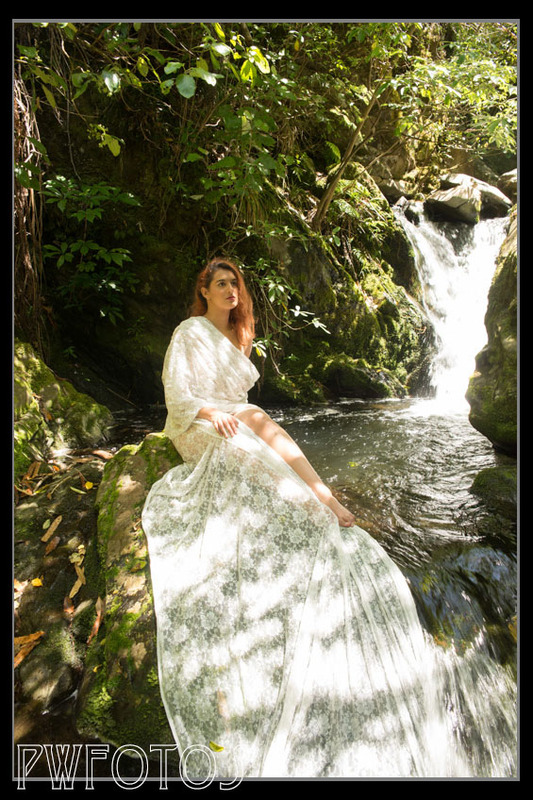 Last year I took a series of images at a local waterfall with models in fabric drapes (which you can read here) and decided that this year I would work further on the series. So I posted a casting call on Facebook and got enough interest for a whole series of shoots. One thing that had disappointed me about the images from the previous series was that the underwear the girls was wearing showed through and disrupted the flow of the fabric. So this year I made it quite clear that no underwear was permitted. 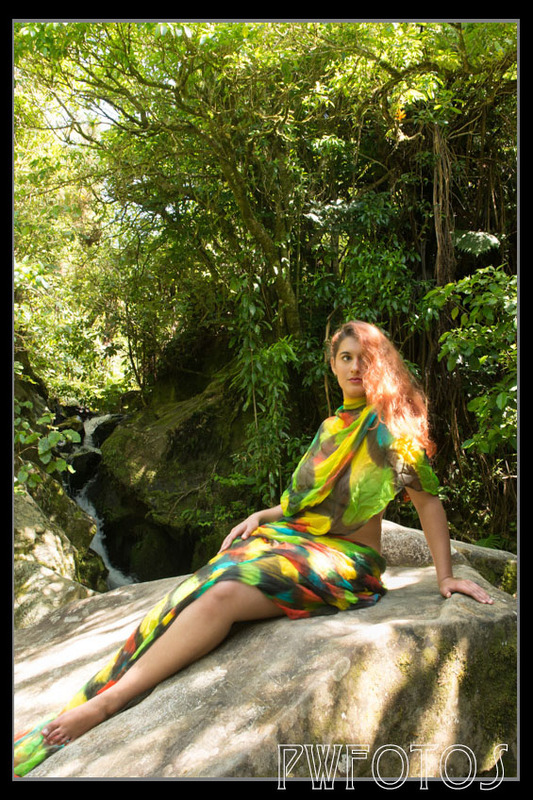 The first shoot in the 2015 series took place last Sunday with Grace (who had been a make up artists on a number of my shoots as well as being my book queen). Her mum Caroline asked to come as well and I was only too happy to have her along as a extra pair of hands. On the Saturday I went up the falls and checked that nothing had changed significantly since last year. It also gave me the opportunity to scout out the area and plan where each shot was to take place. The little falls are down a slope from the main track which in summer is very popular. Given the lack of clothing I wanted to work out how much of the shoot area could be seen from the track. Sunday dawned beautiful and we went through three drapes for the shot. We started on the main rock with a multi colored silk. Then we moved slightly down and shot a white lace material and finally with a blue organza that I ordered specifically for this year. The area is quite slippery in areas and as cameras and water don’t mix I tried to particularly careful. Light was quite an issue in that in some areas there was not enough and in other too much. For some images a flash was used to add a bit of fill and in some cases it was bounced off a gold reflector to add a bit of warmth. The next shoot in the series is tomorrow.